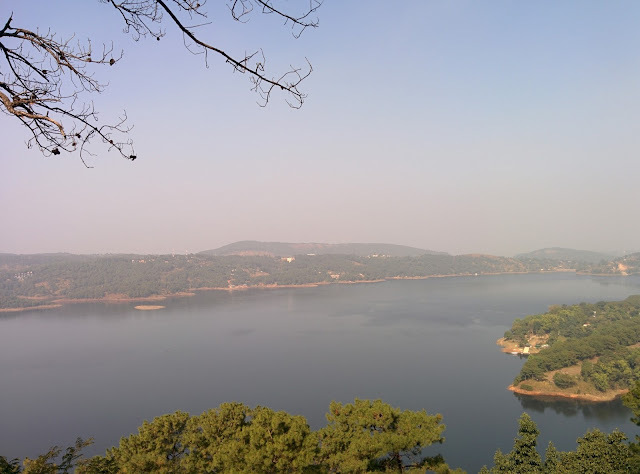 Road Less Travelled: Shillong- Base Camp of Meghalaya! Beautiful and comfortable 4 way lane roads led us from Guwahati to the much hyped and dream destination of Meghalaya- Shillong, also know as 'Scotland of The East.' Even before we could reach Shillong, we were greeted by the massive Umaim Lake. This massive lake provides a teaser of what actually Meghalaya and Shillong have in store for you and it adds spark to your vacation. It is really hard to believe that this lake is actually man made and it also has small islands. A perfect stop if you want to be away from the city and just relax. Christianity is widely spread across North East India and that meant amazing cathedrals and churches. We were here in December and the Christmas mood was full on and happening. Almost all homes, businesses, places of worship were beautifully decked up for grand celebrations. The beautiful 'Cathedral of Mary Help of Christians' in Shillong was a perfect place to soak in the celebration mood. This massive monument stands on sand as this region is prone to earthquakes and this kind of foundation was recommended for the Cathedral to withstand the impact. The stained glass and the elaborate paintings on the walls add much more beauty and charm to this spectacular building. All Saints Church is at a walk-able distance from the Cathedral and is one of the oldest churches. This pretty monument has an all natural Christmas tree in its compound. One could be a believer, non-believer, practice any faith, but there is absolutely no denying the fact that the church premises offers a calm, quiet and serene atmosphere. Meghalaya Tourism Department Corporation, a government of Meghalaya undertaking, is a one stop shop for all your travel itineraries. They operate daily buses to almost all popular tourist attractions. They also provide cars on hire and the pricing is only a couple of hundreds more than the other tour operators which is completely justified thanks to their professionalism and no hassles which are not guaranteed by private players. The only catch is if all tickets are not sold out the trips are cancelled. This would be perfect place if one wants to visit nearby locations keeping Shillong as the base and does not have too many days in hand. However, we did not take the tour bus as we might be pressed to rush through things which is in contrast to our leisure travel lifestyle. Their office is in Police bazaar. Police bazaar is an attraction in itself. In simple terms there is not a single thing that would not be available in this bazaar. Much to the delight of the foodie in us there were several restaurants to choose from. We started our hunt to figure out the best dine in option. We started with Eden restaurant which is in the basement of the building opposite hotel Centre Point. The restaurant specializes in Mughlai cuisine and the chicken biryani that we ordered did not disappoint us one bit. The flavor was mild yet really good and the chicken was cooked to perfection. To go with the biryani we had ordered chicken haandi masala with egg which is a thick spicy gravy that gave an additional kick and completed the meal to perfection. A good meal for two would cost Rs 600. They have a very extensive menu with over 20 varieties of chicken dishes giving us a very hard time to pick one. 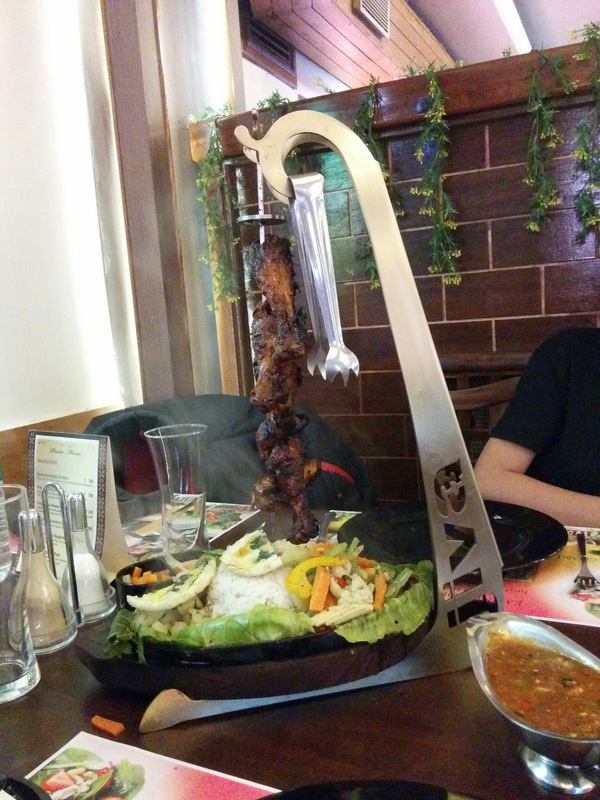 Jiva sizzler is another exquisite fine dining place in police bazaar. The perks of commercialization, we got to have one of the best sizzlers in Shillong. We highly recommend their roasted mushroom soup and smoke roast chicken sizzler. A meal for two would cost between Rs 700 - 800. While in Shillong, if you want to take a sojourn to paradise look no further than "Bread Cafe" in G.S. Road, above Jiva Sizzlers. They serve heavenly pastries, quick bites and wide range of healthy cookies. Be it any part of India, one can never be far away from Dosai or Idly. We stumbled upon "Madras Coffee House," which is opposite Meghalaya State Transport. One of us being a Madrasi, can vouch for the authentic South Indian taste that is guaranteed here. The divine looking Dosai is accompanied by hot spicy sambar and 3 varieties of chutneys. For the cold weather and South Indian food, a hot cup of filter coffee is one of the best moments in life. A heavy breakfast for two would cost Rs.300. Qzine Restaurant in Police Bazaar is another gem of a restaurant that has amazing South Indian touch. The tawa fish masala was outstanding and comes highly recommended. They have an extensive menu which is pan India and their specialty being South Indian delicacies. A meal for two would cost anywhere between Rs.500-600. We checked into Hotel Rainbow in Police bazaar. It is an absolute steal deal, this centrally located hotel offers spacious rooms with exquisite aesthetics at a very budgeted price. Other hotels in the vicinity that charge exorbitant prices only for the prime location come nowhere close to the feel good factor and amazing aesthetics offered here. The hotel has a quite hidden restaurant which serves amazing north Indian delicacies. After 40 long days we satisfied our craving for poori and bhaaji and were not let down. During our travel in Meghalaya we were fortunate enough to meet Mr Robin (8794088304,) a cabbie and a thorough gentleman. People like Robin are rare who do not try to make quick bucks of unsuspecting travellers or swindle money. During our excursion to Dawki, Mawlynnong, Sohra and Tyrna he never ones rushed us through and asked us to take our own sweet time to visit each place. He made sure we have a very nice experience of Meghalaya. We had done our research about taxi fares and there was never an instance where we had to bargain with him as he always quoted a fair price. There were instances where he had to do more kilometers than agreed and his standard responsible would be a smiling face and he saying 'Baithiye Sirji.' He drives a Maruti 800 which is well kept, clean and comfortable. One might get a more comfortable car for the same price but again good people like him are extremely rare. Shared taxis are available from Guwahati to Shillong and one can grab a seat for Rs 300. Tip- There are a lot of comfortable sedans that ply in this route so be wise in choosing your vehicle. The shared taxi drop point is in Police Bazaar. Best take on the post...Truly a mini Scotland ! !